imagination while working on gross motor skills and receiving sensory input. The flexibility of the different parts offers limitless creative environments. Assorted patterns of the boards also offer children different sensory input. Children's tactile, balance and hand- eye coordination can be enhanced during playtime with this creative play forest tunnel. 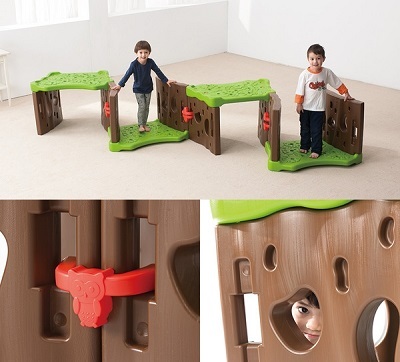 -Crawling boosts the neural connection by stimulating chilldren's tactile, balance system and hand-eye coordination. -Crawling or walking with or without hand support on the path helps to develop children's lower body strength. -Assorted patterns on each side of the Flower / Leaf board provide children opportunity to discover and receive tactile sensations. 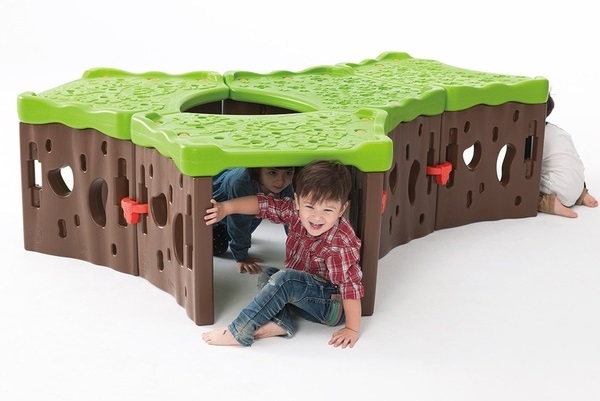 -Children can create stories and expand their imaginations by crawling into the Forest Tunnel.